Quick question: Who is (clearly) the best classic Disney princess of all time? If you answered Belle, obviously you’re right! Most of our office agrees with you...except for those HR associates who keep insisting it’s Cinderella and something about paperwork...we don’t really get it either. Anyway, have we got a costume for you on Team Belle. We mean, you already love books, and you’ve probably already had to throw off a Gaston here and there with well-placed witty one-liners. 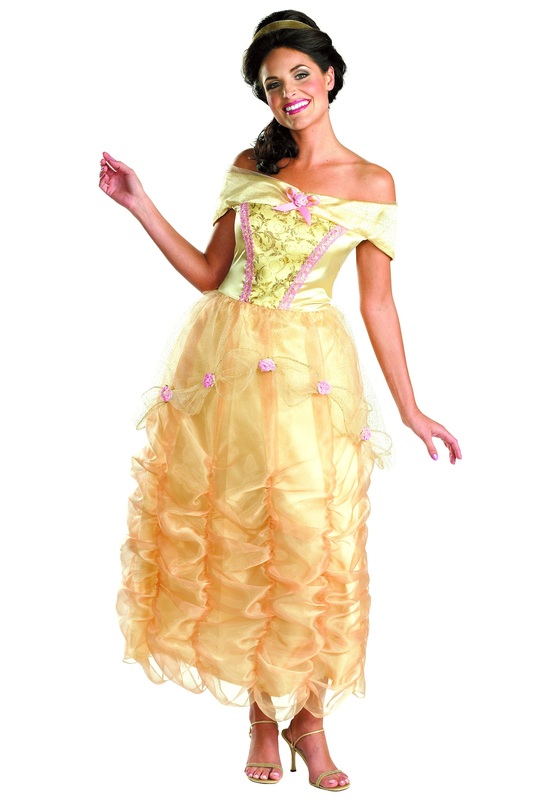 Now, with this Adult Belle Costume, you can finally embody your inner princess persona to the fullest extent! Just try not to get lost in the Beast’s library. We hear it’s pretty massive, so you should probably take your time trying to work through it all. Maybe years, even. We know you’re pretty brainy and all, but you’ll have plenty of time for all that once the curse is broken. Until then, this ankle-length off-shoulder dress will enable you to dance the night away in the castle’s opulent ballroom. The outfit also comes with a pink ribbon rosette at the center of the neckline, a bodice overlaid with gold glitter swirls, and a gold metallic hair ribbon, so you can fix your hair up just like the princess herself. As for now, get out there and enjoy the ball, and show all those Cinderella fans just how much better of a princess you are. The Beast’s enchantment will stand no chance against you in this classic elegant look.